Sand and Cement Render is highly skilled, and deteriorating trade. 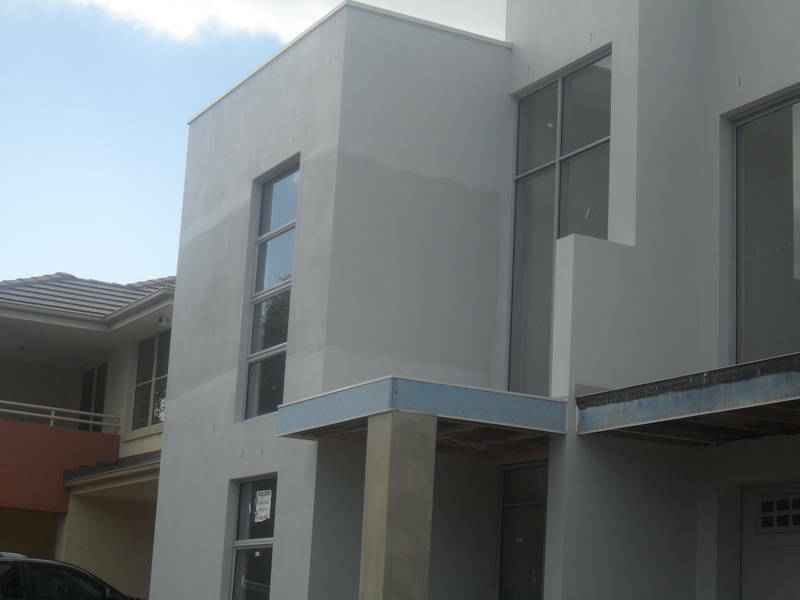 If sand and cement rendering done by experienced professional who takes pride in what they do, it will add to the sales potential of your property whether you sell immediately or few years down the line. If the sand and cement render is not done by specialist, it will not only look horrible and devalue your property but also will crack, blow off, even fall off the walls in a very short time, due to lack of knowledge and experience of the applicator or deliberate usage of the wrong materials to cut the cost down. Sand and Cement render with a little bit of lime in the mixture increases the workability of the mortar and makes the render more flexible, which to a certain extend prevents cracks appearing due to shrinkage or small movement in the structure.